Nestled south of 42nd Street between Fifth and Sixth Avenues and just behind the New York Public Library is the ever-vibrant Bryant Park. 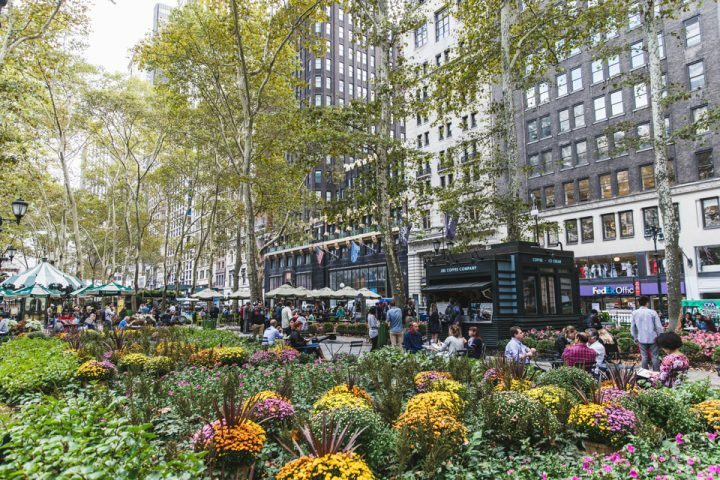 Just under 10 acres, this public park is privately managed by the not-for-profit Bryant Park Corporation and is a shining example of civic renewal. 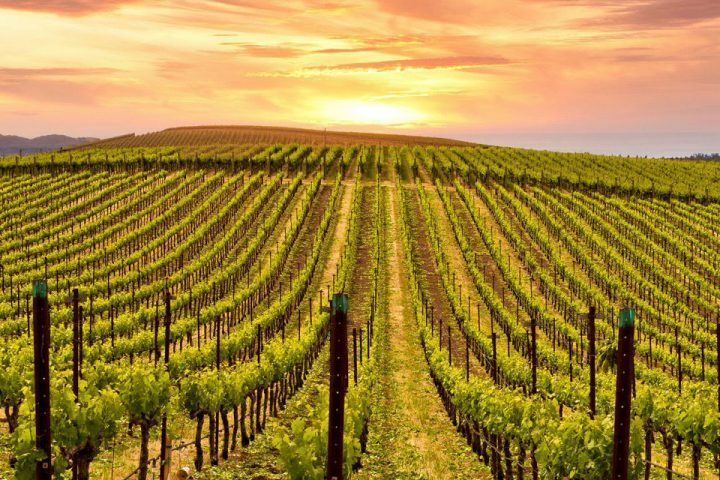 Beloved by locals and visitors alike, the park welcomes more than 12 million people each year and often 800 people per acre, making it one of the most densely occupied urban parks worldwide. What’s so special about this public park? In addition to being one of the few large green spaces in Manhattan and just a hop and skip away from the luxe-boutique Archer Hotel New York, Bryant Park attracts office workers and visitors year-round with its overall cleanliness, upscale public restrooms, free Wi-Fi and low crime rate. No matter what time of year it is, Bryant Park is buzzing with natural beauty, a plethora of activities and plenty of people-watching. Transformation is the name of the Bryant Park game in wintertime. 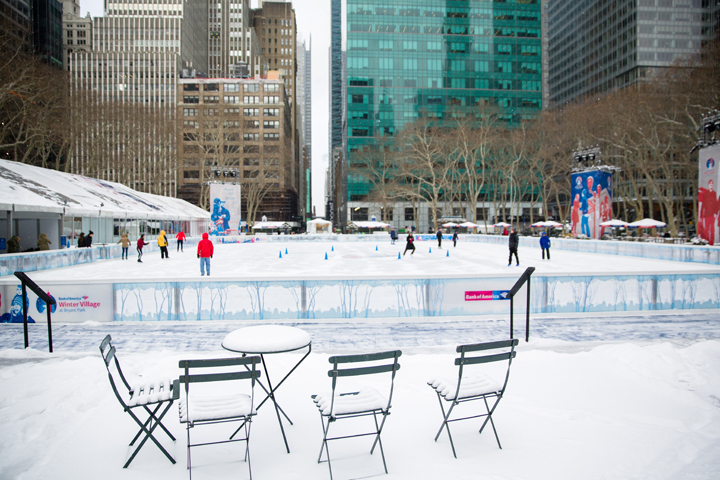 Since 2002, Bryant Park has hosted the Bank of America Winter Village — a mid-Manhattan winter wonderland featuring the Holiday Shops (open through January 2), the Lodge (a pop-up bar and food hall) and New York City’s only ice rink that’s admission-free (both the Lodge and the rink are open 8 AM – 10 PM daily through March 3 of the following year). Programming throughout Winter Village has something for everyone. Tree Lighting Skate-tacular — a celebrity narrator reads an original Christmas story, which comes to life via world-class skaters recreating the tale on the ice. The grand finale? A 50-foot Norway Spruce tree is lit, fireworks fill the sky and the rink opens up to the general public to skate to live music. Broomball — a coed weekday league begins in January, with equipment provided. Get psyched for this hockey-like ice game, with six regular season games plus the playoffs. Exerskate — Trained figure skaters and hockey players lead ice-skating-based exercise classes for competent skaters. Skate School — Learn to skate or improve your skills, no matter your age or level. Santa’s Corner — Kids of all ages are welcome to get a free photo snapped with Santa. Santa’s Corner is also home to story time, magic, shows, a variety of holiday crafts and caroling. Le Carrousel — Early November – December, Le Carrousel StoryTime is led by Cali Co Cat, who entertains kiddos with stories, games and other fun activities (2 – 3 PM Saturdays). Le Carrousel Magique features magicians early November 4 – December (2 – 3 PM Sundays). Attend a class — learn to juggle, paint, knit, fly-fish or keep bees. Get fit — join a class for cardio, boot camp yoga, Pilates, tai chi, fencing or dance. 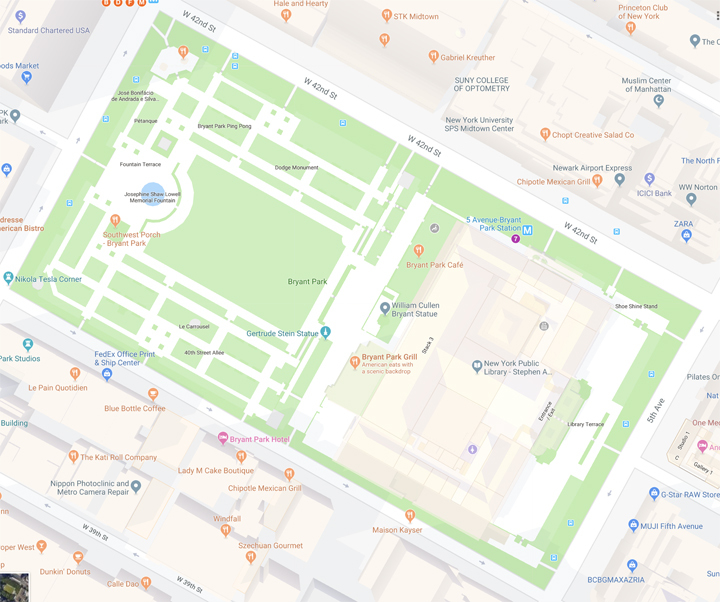 Take a tour — a walking tour explores all that Bryant Park has to offer (history, design, amenities and maintenance efforts), and a guided bird tour highlights the myriad of birds that call Bryant Park home. 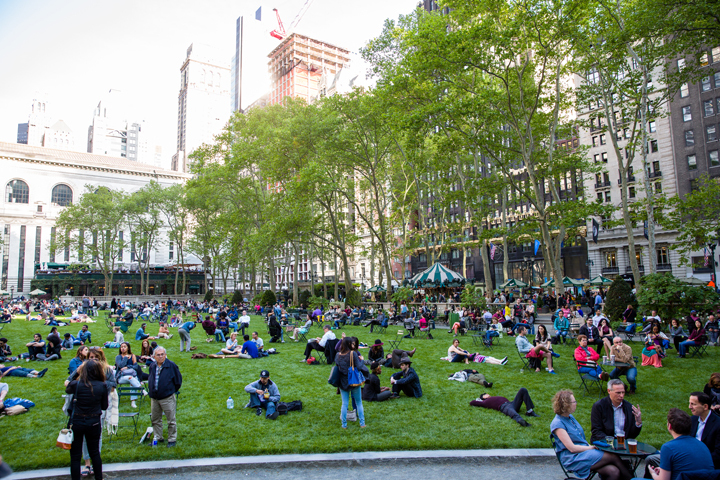 Play a game — Bryant Park offers bingo, musical chairs, Tuesday Trivia, juggling lessons and watching, tournaments and game and chess socials. Enjoy the free outdoor “Reading Room” — pick up a book or publication from one of the carts and enjoy some “you” time on the lawn or on a surrounding bench or chair. Listen to readings and buy books by contemporary authors and poets, or attend book clubs, writer workshops or story-telling time. Take in a cultural event — bring a blanket and take in a feature film or Broadway in the Park. 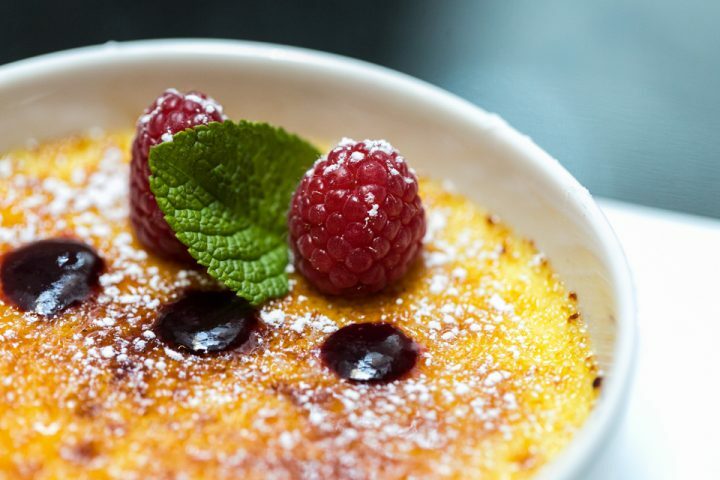 Groove to the Blues Brunch, Brass Bands Fifth Avenue Terrace Music or lively piano music. Learn from the painter in residence or give square dancing a go. Lose yourself in world-class performances in opera, ballet, contemporary dance, Shakespeare — in New York City, any art is possible in the park. Break a sweat — give your all in a variety of health-conscious classes, such as Cardio Sweat Party, Yoga and Boot Camp. Learn a language — register for a beginner class and learn Japanese, Italian, Spanish and Brazilian Portuguese. 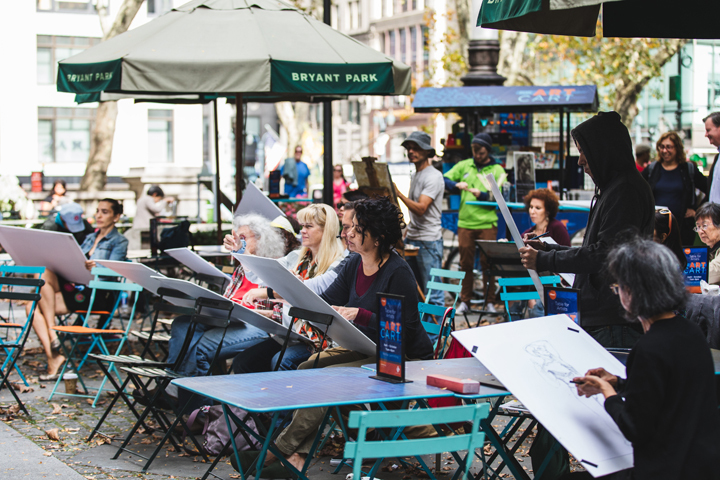 Paint and sip — create your own masterpiece and enjoy a cocktail (available for purchase) while taking in summer in Bryant Park. Prepare for college — teens can learn how to write a college essay in free workshops. Pause for puppet time — don’t miss the Le Carrousel Puppets show. Meet the author — Get the backstory directly from the authors of some of the season’s hottest writers during a lunchtime discussion session. Fluff up your financial know-how — Each summer week features a new business or economic book that sheds light on what makes companies great. Grab a drink at Southwest Porch — relax and recharge (literally with plenty of power outlets available for your electronics) at this full bar and restaurant that offers a whiskey list, craft beers, adult hot coffees and hot chocolate cocktails, burgers, salads and such. Celebrate Halloween with Tricks and Treats — 4 – 7 PM, this free party for kiddos and their parents has treat bags at the Holiday Shops, Scary Stories and the Monster Mash With Cali Co Cat, a magician, and pumpkin decorating, face painting and rides at Le Carrousel (each ride is $3). Try the blades at SkateFest —10 AM – noon in early November, learn to skate with lessons and prizes, complements of U.S. Figure Skating. 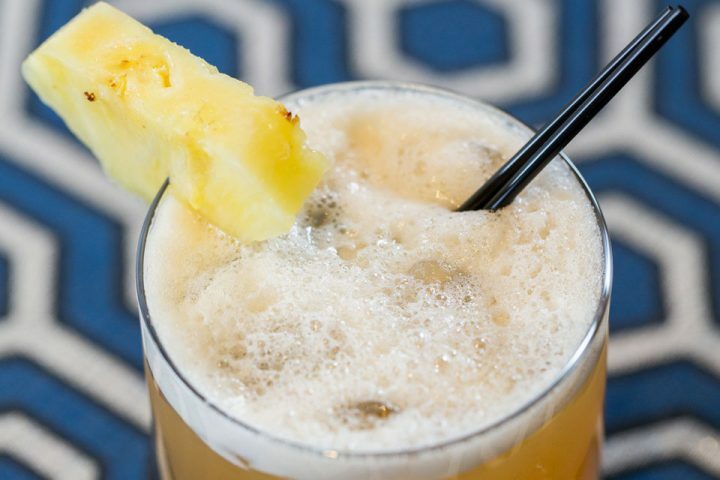 Try Tasting Tuesday — browse the Holiday Shops while sampling complimentary food and drinks. Please note that registration for this special event is limited; RSVP on Eventbrite. Head Home for the Holidays — early November, spin the wheel to win a free goodie from Southwest Airlines or Winter Village, mark where you’d like to go on the large map and enjoy a cup of warm cider, all on the Southwest Porch. Scavenger Hunt — mid-November, get clues and find the items in the shops. The first to find all of the shop items on the list is the grand-prize winner. 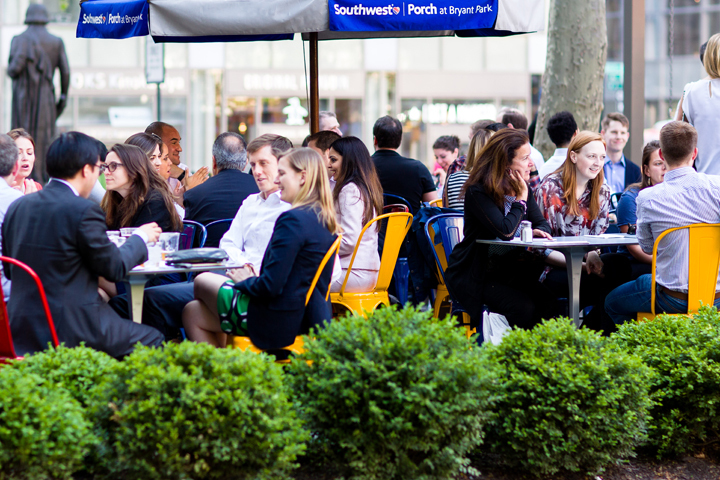 While every season in Bryant Park is unique, many of the activities overlap the seasons. This year-round destination not only provides plenty of activities for one and all, it also features several notable sculptures — Gertrude Stein, Johann Wolfgang von Goethe, the William Cullen Brant Memorial, the Josephine Shaw Lowell Memorial Fountain and has terrific views of some noteworthy architecture — the American Radiator Building of 1923-1924, the art-deco-style 500 Fifth Avenue office tower and the Beaux-Arts architecture of the famed New York Public Library. So get out of the concrete jungle for a few moments and enjoy at least a fraction of what Bryant Park has to offer, no matter the season. We think you’ll be drawn back to it time after time. Then, head over to Archer Hotel New York on 38th Street between Fifth and Sixth Avenues for the progressive American cooking of Charlie Palmer Steak, a drink with the best Empire State view in town at Archer’s Spyglass Rooftop Bar and a much-needed five-star sleep experience right in the heart of midtown Manhattan. Interested in a visual tour with unexpected surprises throughout Bryant Park? Check out this video.